The US Energy Information Administration announced yesterday in its annual Oil Reserves Report that reserves are at their highest levels in 36 years. At the same time, Libya said one of the four ports seized by rebels is due to reopen. 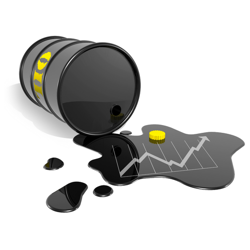 However, Nymex crude went nowhere, closing flat at $103.40 per barrel. Ongoing tensions in Ukraine supported gold prices, with the market extending its recent rebound to $1,318.2, a $6.4 gain for the day. The minutes of the Fed's March meeting revealed doubts over the previous projections on an interest rate rise which also supported the precious metal. US crude gained $1.10 yesterday to $103.44 as the US Department of Energy indicated a strong demand for gasoline in its weekly inventories report, with stockpiles falling by more than expected. Meanwhile, a slowdown in Chinese economic data failed to stop oil prices from rising. In commodities trading, gold edged higher yesterday, gaining $3.8 to $1,312.3 after dropping in the first part of the trading session. Support was undoubtedly provided by the Fed minutes, where policy makers showed that they are not as hawkish as the markets had previously thought. An escalation in the Ukrainian conflict renewed fears over energy supply in the Black Sea region and quickly pushed US crude prices $1.65 up to $102.35. The steep climb may have been slightly limited by news that Libyan rebels are sticking to their oil sharing conditions for allowing some of the country's ports to open. The geopolitical tensions in eastern Ukraine were back in the spotlight yesterday, which in turn pushed the gold market $11.7 higher to $1,308.5 on safe haven demand. At the same time, the weaker US currency attracting buying interest by making the dollar-denominated precious metal look cheaper. Libyan rebels handed over control of two ports to the government, thus boosting oil exports for the North African country engulfed in a bitter domestic conflict. The reaction in the energy sector was quick, with US crude prices dropping steadily and, even though there was a late rebound, the market closed $0.18 lower at $100.74. Gold turned south again yesterday, losing $7.5 to $1,296.8, as investors realised that the state of the US economy is probably healthy enough to maintain tapering of monetary stimulus. Fear of inflation is nowhere in sight, and if anything there's deflationary concerns in Europe, so the precious metal continues to look out of favour. Positive revisions in payrolls for the previous two months and the fact the US still added almost 200,000 jobs in March overshadowed the fact that the forecast had been marginally higher. Sentiment in the energy complex was boosted by the fact the biggest oil consuming economy is recovering well, so investors pushed WTI crude oil $0.75 up to $101.13 per barrel. Gold investors focused on the fact that unemployment data trailed estimates and rushed into precious metals. Consequently, gold prices rallied $16.8 to $1,303.5 even though the US dollar saw some additional strength. Overnight though, gold was back on the defensive and a retest on the $1,300 level looks quite possible.